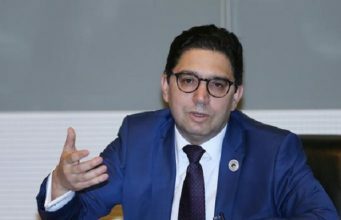 Moroccan officials are organising local inhabitants to confront pro-democracy demonstrators planning a peaceful protest on Sunday. In Fez, a rally in favour of the “Yes” vote will begin at 5pm in Place Florence and march to the Royal Palace. 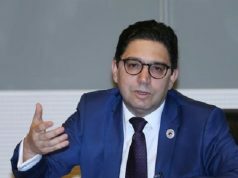 Communication Minister Khalid Naciri rejected the claims, writing to AFP of “spontaneous gatherings of people who support the government’s project for constitutional reform.” And, also reported by AFP, most political parties have called for “massive” counter-rallies every day across Morocco until June 30 to support the king’s proposals, which are to be put to a referendum on July 1. The French-language weekly Tel Quel responded sceptically to the proposed reforms in its Saturday publication. 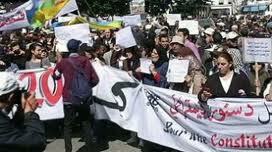 The Islamist Justice and Charity group has also rejected the proposals and said it would participate in Sunday’s rally.